For many travelling to the Nordic countries, a sauna is an essential part of the Nordic experience and is a great way to soothe aching muscles after a hard day’s activity such as ski touring or simply as a way of relaxing with friends in the evening. The word sauna (pronounced sow (to rhyme with “how”) nah) comes from the Finnish for bath or bathhouse and is an important part of the Finnish culture (in Finland it is said that there are enough saunas that the whole population (around 5.5. million people) could have a sauna simultaneously!). 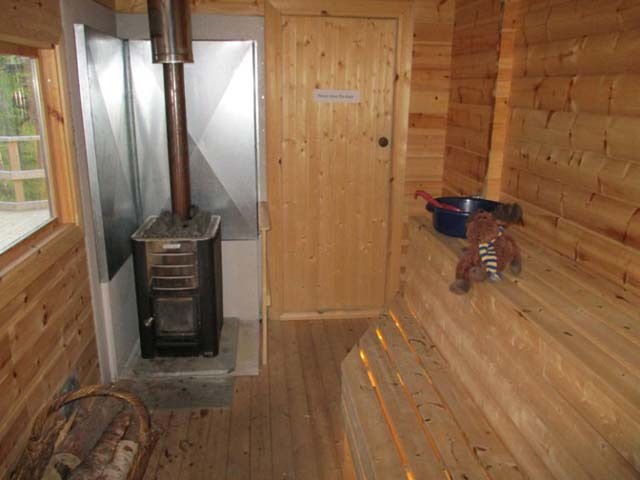 Saunas also play a very important role in Sweden and Norway. 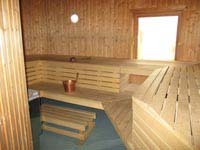 Many saunas will also heat a tank of water, providing hot water to wash when then there are no showers available. Photo: Nature Travels. The first saunas were thought to have been built over 2000 years ago but were very different to the saunas we know and love today. Instead of a wooden building (or wood-lined rooms) which are a feature of the more modern sauna, the first saunas were pits dug into ground where a fire could be built and stones placed to heat up. Throwing water on the stones produced steam – in Finnish this steam is called “löyly”. Water was also heated by the sauna and used for washing. Sit on the lower bench or even the floor if things get too hot! The brave can perch higher up! Photo: Nature Travels. In the past, as the sauna was a fairly hygienic room with access to hot water, women would often go there to give birth (though the sauna was not usually heated at the time!). It was also a place where the dead could be laid out and the final cleansing rituals could be performed in a peaceful environment. Having a sauna with your business associates after a meeting was a way of affirming that the meeting had gone well. 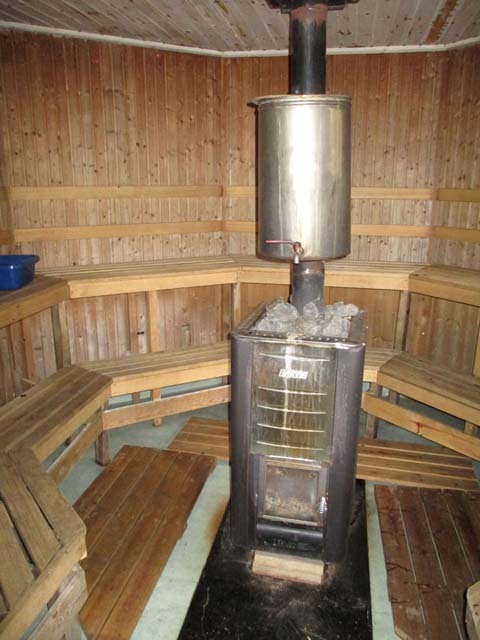 Saunas are often simple and unassuming, but are an essential part of Nordic culture. Photo: Niki Nature Travels. 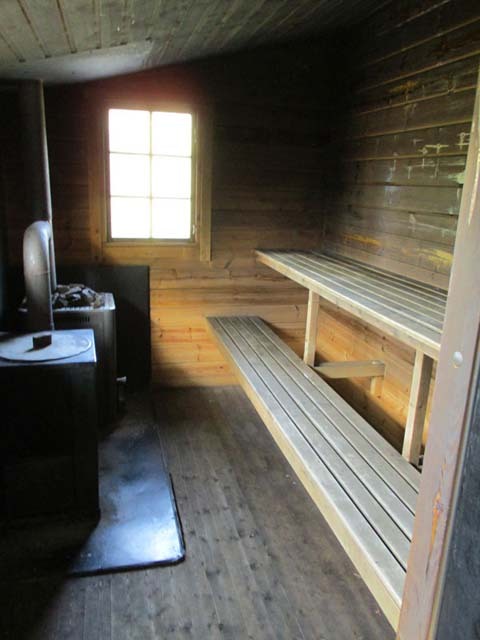 A more traditional style of sauna is the smoke sauna – this is a sauna which, unlike a normal sauna, does not have a chimney. A fire is built and allowed to burn down to the embers; the smoke is trapped within the walls of the sauna blackening them. As you enter the sauna, the smoke escapes through the door and you are left in a warm, pleasant smelling sauna. One sauna tradition which may seem a bit unusual to the sauna novice (though it is not commonly practised in public saunas) is taking a bunch of birch leaves and gently beating yourself with them – this aids your circulation, is good for your skin and creates a lovely smell inside the sauna. Wood-heated saunas are generally thought to have a nicer and more comfortable heat than electric saunas. Photo: Nature Travels. In public saunas (e.g. at the spa or in your hotel), you should shower before entering. If at a privately-owned sauna without a shower close to hand you may wish to take a dip in the nearby lake (if available). Whether you choose to go naked or not is a personal choice. In many public saunas, men and women have separate saunas and you will find that most people will be naked in these. You can if you wish go in your swimsuit (though in some places swimwear is banned from the sauna – in these cases you may choose to wrap yourself in a towel). In privately-owned saunas, friends and families will usually all go in together and will most likely be naked. Saunas are often heated to between 60oC and 80oC (or more!) 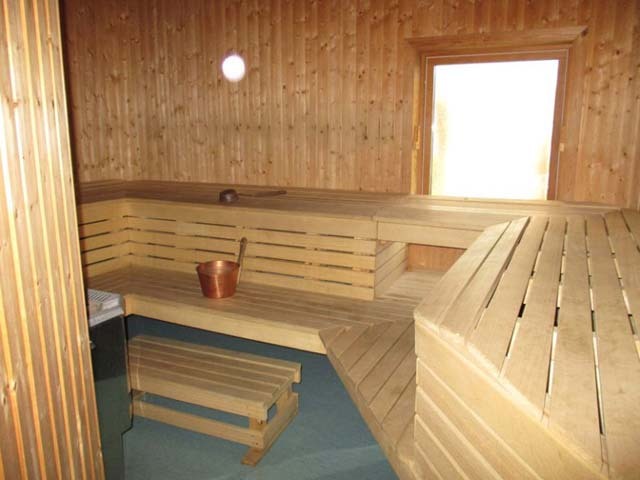 – for those new to the sauna this can be quite intense, so take time to get used to the heat (sitting on the bottom row of seats will be cooler than at the top). Don’t spend too long in the sauna first time round and remember that throwing water on the heated stones will increase the temperature of the sauna. In between your sauna sessions, you should cool off either by jumping in a nearby lake, taking a cold shower or, in winter, having an invigorating roll in the snow! After your final sauna session you should, where possible, have a warm shower followed by a cooler shower to close your pores. Always remember to hydrate during your sauna session; water is best but a beer or cider can, in moderation, be quite enjoyable with your sauna. In the past, saunas were often used for childbirth due to the access to hot water and cleanliness. Photo: Nature Travels. 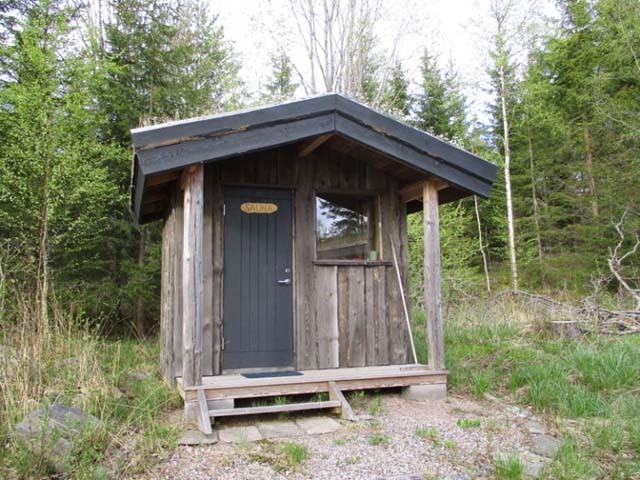 If you are now longing for a sauna, many of our cabin accommodation options in Sweden and Finland come with use of a sauna. For those into winter activities, there is no better way to relax (and have a wash) after a hard day’s dog sledding than by having a sauna!